Martinson’s illustrative style is reminiscent of classic cartooning in that the story is almost exclusively told in four-panel grids, and each and every panel is highly detailed as if they were meant to be dwelled on for much longer than it would take to read any given paragraph in this review. Hatching and cross hatching marks are applied to spaces as tiny as the cluttered offices of teachers and small apartments, giving weight to their realistic presence. Interior scenes are appropriately given ample real estate on the page for the intimate nature of the tale, but Martinson also delivers stunning exterior views that clearly demonstrate careful study of architecture and Japan as a setting. The entire story is colored only by cool blues and grays, which further contribute to the calming and introspective tone. To read Tonoharu at times feels like meditating. Martinson further demonstrates his talent by knocking the covers of these books out of the park with an inspired homage. 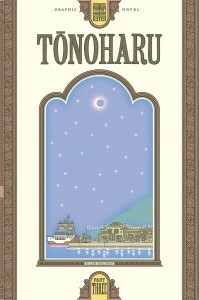 Tonoharu is a story told in three volumes, and each front cover features one image from a series of views of Fukuoka at different locations and times of day. The idea is informed by the works of Hokusai, who painted a series called Thirty-six Views of Mount Fuji. He is commonly cited as representative of the artistic side of the domestic travel boom in the Edo period, and Martinson’s perspective as both a tourist and a resident is an interesting contrast. The three covers do not differ from the interior art in style, but they do have a much greater scale, with characters as tiny as ants occupying the streets and dock. One remarkable thing about these covers that speaks to Martinson’s talent is that while the focus is on views of Tonoharu the town, a seaside market area, and the dock of an island, the tiny characters are easily identifiable as the same ones in the story. With clever use of subtle but distinguishing features, Martinson is able to get the reader familiar enough with his characters that they can be identified in a lineup from great distances. This graphic novel series arrests your attention, from the immersive quality of the art, to the highs of self depreciating humor, to the lows of isolation and despair that run through it. Those who have lived abroad will find much to relate to. For those interested in jumping in the deep end outside of their home country, it can be a story that is enlightening, exciting, and harrowing as a true story should be. One thing that comes to mind while reading Tonoharu is ESID—Every Situation Is Different. If you ever ask someone who has taught English in Japan through the JET Program what it’s like to be a teacher there, every answer will come down to this phrase. Placement for a new home and job run the gamut from the metropolis of Tokyo to a small town where the nearest other non-Japanese person is a ferry and train ride away. Class sizes, curriculums, and school environments make every assignment a special snowflake. And yet, despite all of these different experiences, there are enough things in common for JET Program alumni to share with each other at any gathering, in any interview or article, and in any graphic novel. You should definitely check out this book if you feel any kind of connection to Japan in your past, or if you’re interested in traveling there in the future. 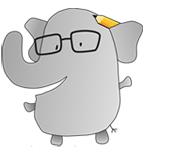 JET participants will certainly find a lot to relate to, and those without the experience will gain valuable insight in a very entertaining package. Of course, if you enjoy stories about human relationships and introspection, this story will definitely be right up your alley. This would also make a great gift for someone who enjoys comics, graphic novels, and picture-based storytelling and is always on the lookout for something unique and different. One of the charms of Tonoharu is that there is simply nothing else quite like it, as it is the intersection of all of the above and more. For more about Tonoharu and Martinson’s other works, check out his website, where you can also preview his Kameoka Diaries, a series which riffs on his more recent tenure as an English teacher in Kyoto. For this reviewer, reading through his comics has been nostalgic and heartwarming, and JET alumni should definitely look into his work. 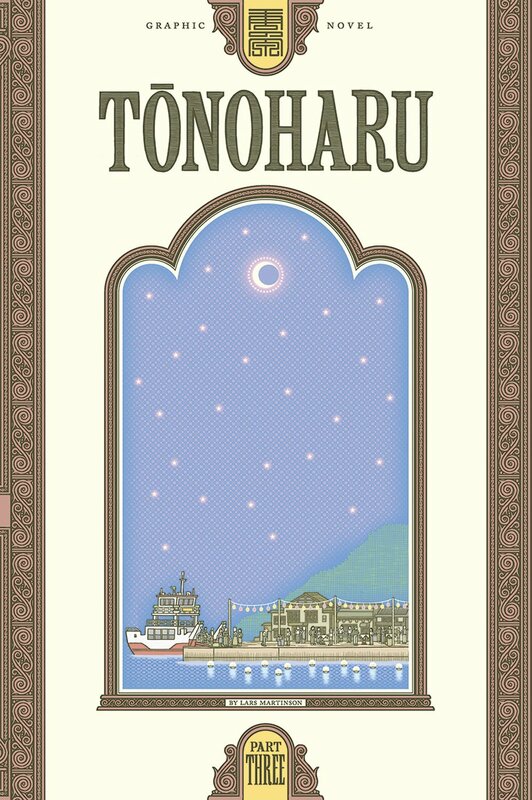 Pick up Tonoharu and lose yourself in a town off the beaten path!